Me and Earl and the Dying Girl, by Jesse Andrews. It’s funny, emotional, and has a cancer patient, so it’s an easy sell. Greg enjoys his life of remaking classic movies and surviving high school as part of every social group while simultaneously having no friends, but everything changes when his mother forces him to befriend a dying girl he once knew from Hebrew school. The Probability of Miracles, by Wendy Wunder. This is definitely the sappier option. A teen who has been battling cancer for years learns that there are no more treatment options available. Her mother refuses to give up, however, and moves them to Promise, ME, because it’s known for miracles. Zac & Mia, by A.J. Betts. 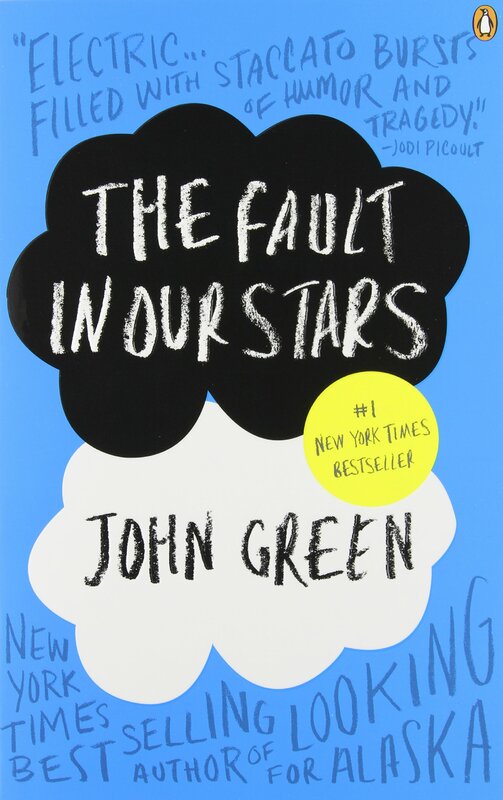 Character-wise, this one is the most similar to TFIOS, because we get two cancer patients. But the adorkable dialogue in TFIOS is far from what we get here; instead we get a rough and emotionally closed up girl struggling to accept her disease and rebelling against anyone trying to help her. This is for the teen (or adult, come on) who wants a gruffer cancer read. Because they exist. Legend, by Marie Lu. Two teens from opposite sides of a war realize they have a common enemy and need to figure out how to fight together. So much action that carries throughout the entire trilogy. It’s amazing. The Knife of Never Letting Go, by Patrick Ness. An all-male society where you can’t keep secrets—your every thought can be heard by the others in what is called Noise. Todd is forced to run away from the colony, but how can you run away from people who hear your every thought? Slated, Teri Terry. In this dystopian series, juveniles who commit serious crimes are slated—they have their memories wiped and are adopted into new families. Kyla has gone through the slating process, but as she tries to adjust to her new life, memories of her past start to come back. I know that this is going to be the book everyone needs to read ASAP because the movie is coming out next month (!!!). In my year at this job, I’ve seen our copies of the book maybe…once. We Were Liars, by E. Lockhart. 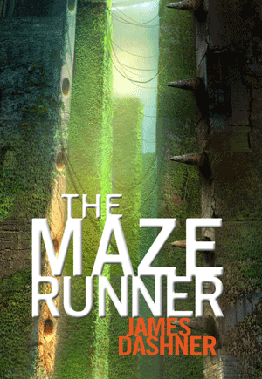 To be honest, I will tell everyone to read this book, even if they aren’t looking for Paper Towns. In this mystery, Cadence is trying to uncover the traumatic event that left her with amnesia the previous summer because her family is under doctor’s orders not to tell her. Going Bovine, by Libba Bray. Paper Towns has a pretty epic road trip, but that road trip is missing Mad Cow Disease. But it’s not missing from Going Bovine, a retelling of Don Quixote about a boy who goes on a road trip to find a cure for his disease. Please Ignore Vera Dietz, by A.S. King. Vera was always secretly in love with her best friend Charlie, and now that he’s haunting her after his suspicious death, it’s getting a little more complicated. This novel has a similar dark, comic style to Paper Towns and is sure to get teens to read the other amazing YA novels by King. What is your experience with the City of Bones series? My students LOVE them! I used to work at a school and the students there LOVED them, but here, they’ve kind of lost steam. The tweens/teens tend to prefer realistic fiction. Great list! Me and Earl and the Dying Girl is a movie now too, so it will probably become super-popular at any moment. I also frequently recommend Rainbow Rowell’s books to fans of John Green. Yes, Rainbow Rowell books are easy sells to John Green fans for sure!! This is great! My students are really into whatever the big thing at the moment. I think all the John Green books were perpetually checked out from the library. I’ll be referencing this post (maybe turning it into a bulletin board???) when school resumes at the end of the month.